Monday again, did you have a nice week-end? Saturday morning I had a casualty happening while trying on some shoes and my left leg hurts ever since! That can only happen to me I guess. Anyway, let’s get back to nail polish! 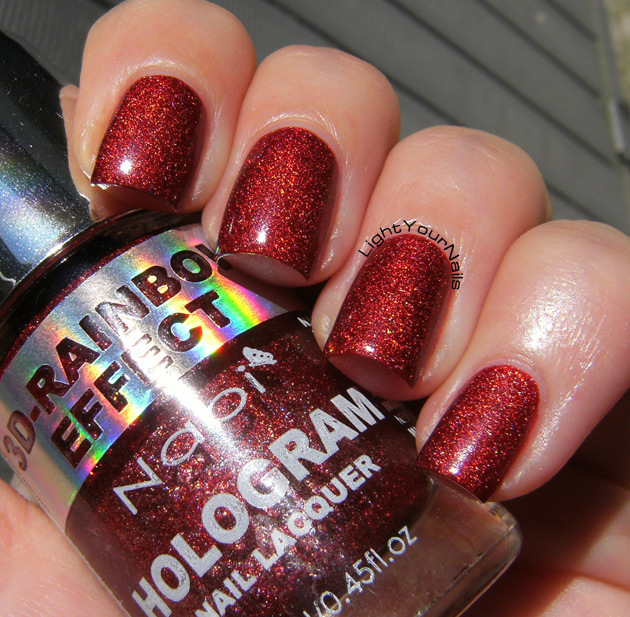 Monday is still holo twin post with Cristina at PeeBeforePolish and today we have a very old and HTF one to show you. This is China Glaze TMI back from Spring 2008 OMG! collection. It’s a warm pink with a visible linear holographic effect. Formula is perfect on this one, no need of a special base coat and completely opaque in two thin coats. Here’s two coats, no top coat. E’ di nuovo lunedì, passato un bel fine settimana? Io ho avuto un piccolo incidente sabato mattina provando un paio di scarpe e cammino ancora zoppa. Poteva capitare solo a me! Cmq, torniamo al blog e al suo tema: gli smalti! Il lunedì è ancora appuntamento gemello con Cristina del blog PeeBeforePolish e oggi abbiamo uno smalto parecchio vecchio e molto ricercato da mostrarvi. Questo è il China Glaze TMI e risale alla collezione OMG! della primavera 2008. E’ un rosa caldo con un effetto olografico lineare ben visibile. La formulazione è perfetta, non necessita di una base speciale ed è coprente in due passate sottili. Qui sotto senza top coat. When China Glaze announced the Hologlam collection I really hoped it would look like the OMG! but it didn’t happen. So the OMG! is still my favourite China Glaze collection ever! I secretly hope they find a way to bring it back sooner or later. 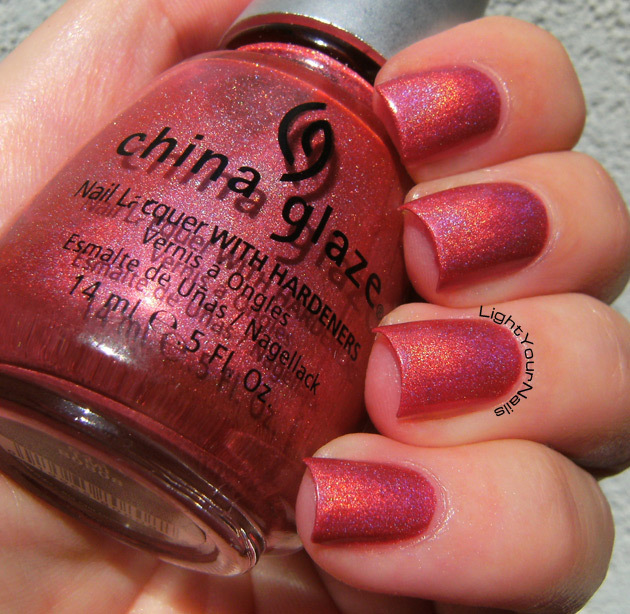 Now let’s head to Cristina’s blog to check what she thinks of China Glaze TMI! 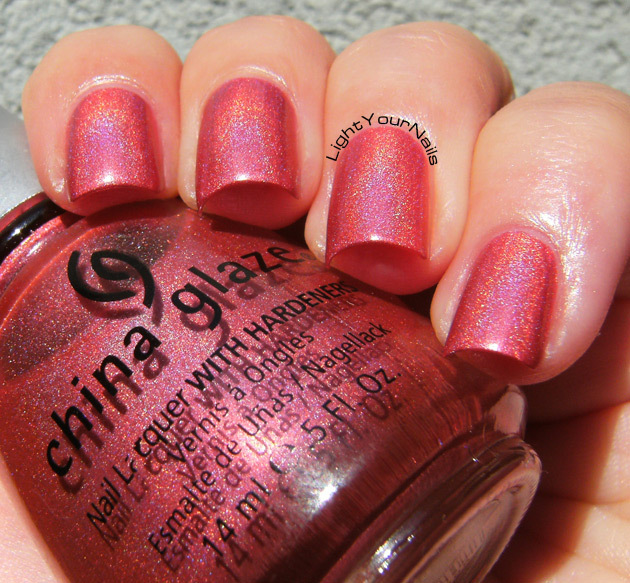 Quando China Glaze ha annunciato la collezione Hologlam ho davvero sperato che fosse simile alla OMG! ma così non è stato. Dunque la OMG! rimane tutt’ora la mia collezione preferita di sempre di questo brand. In fondo in fondo spero sempre che trovino il modo di rifarla prima o poi. E adesso passiamo da Cristina a vedere cosa ne pensa lei di China Glaze TMI! Today I have the follow up of yesterday’s swatch, if we can call it that way! This is a stamping done with a pattern from Cheeky Jumbo Plate 10 Happy Nails. 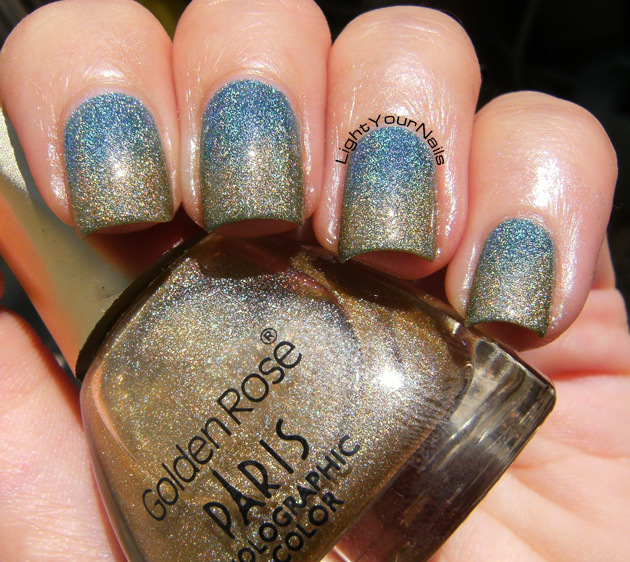 Base colours are Dolci Sguardi Holographic 3D n. 8 and Golden Rose Paris Holographic 104. Oggi vi mostro il proseguimento dello swatch di ieri, se lo possiamo chiamare così. Si tratta di uno stamping fatto con la piastra Cheeky Jumbo Plate 10 Happy Nails. 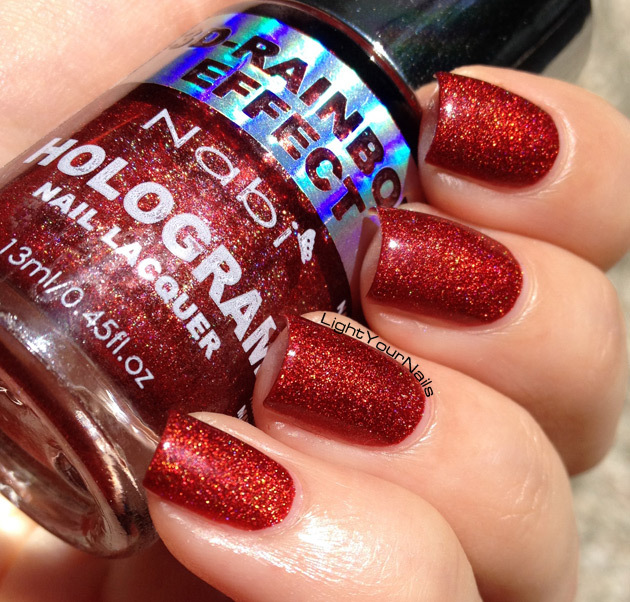 Gli smalti di base sono Dolci Sguardi Holographic 3D n. 8 e Golden Rose Paris Holographic 104. I first made a gradient with Dolci Sguardi Holographic 3D n. 8 and Golden Rose Paris Holographic 104. I had meant to do a golden to blue gradient all summer long but it honestly didn’t came out as I expected. I then stamped some swirls over it with my MoYou black stamping polish and a pattern from Cheeky Jumbo Plate 10 Happy Nails. If you think there are bald spots in the stamping you are wrong, the pattern is like that! Per finire ho stampato un motivo a cerchio dalla piastra Cheeky Jumbo Plate 10 Happy Nails usando lo smalto per stamping nero di MoYou. Se pensate che sia venuto male lo stamping perchè mancano dei pezzi vi sbagliate, è proprio così il disegno! Looking back to it I think I should have stamped a thinner design. This one is quite thick and hides the gradient too much for my taste! Do you agree with me? Or do you like it as it is? Col senno di poi penso che avrei dovuto usare un motivo con linee più sottili. Questi cerchi sono troppo spessi e coprono troppo quello che c’è sotto. Siete d’accordo o vi piace così? I finally made it again to the HPB Blog Link-Up! This month’s theme is neon and it can be as easy or as difficult as we like it. I went the easy way! 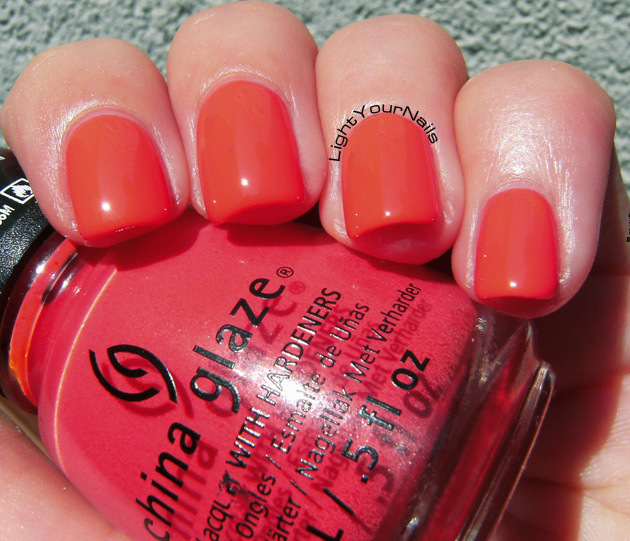 I decided to swatch China Glaze High Hopes which is a beautiful true coral red neon. Formula is a bit watery but really easy to work with. All in all I think this is the best neon from China Glaze I’ve tried so far! Unlike most neons High Hopes dries glossy, which was a surprise. Shown are two coats over a white base (Astra Neige) to enhance the neon effect. I must add that it is opaque in two coats anyway, only less neon! 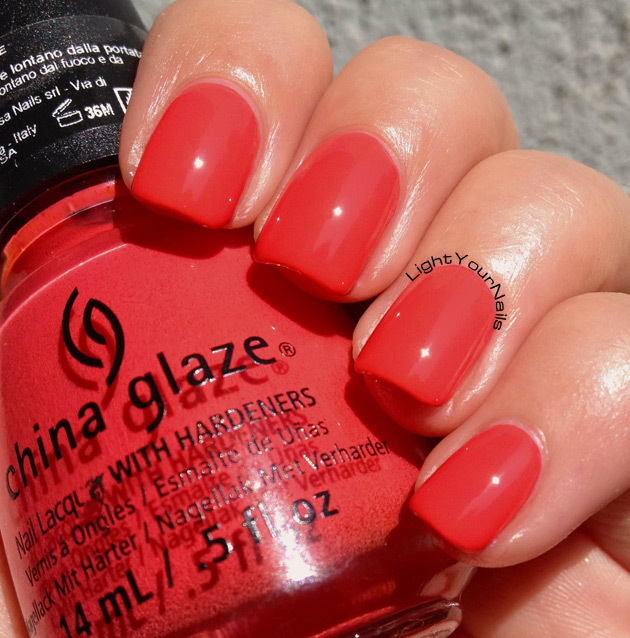 Ho swatchato lo smalto China Glaze High Hopes, che è un bellissimo rosso corallo neon. La formulazione è un po’ acquosa ma davvero semplice da stendere. 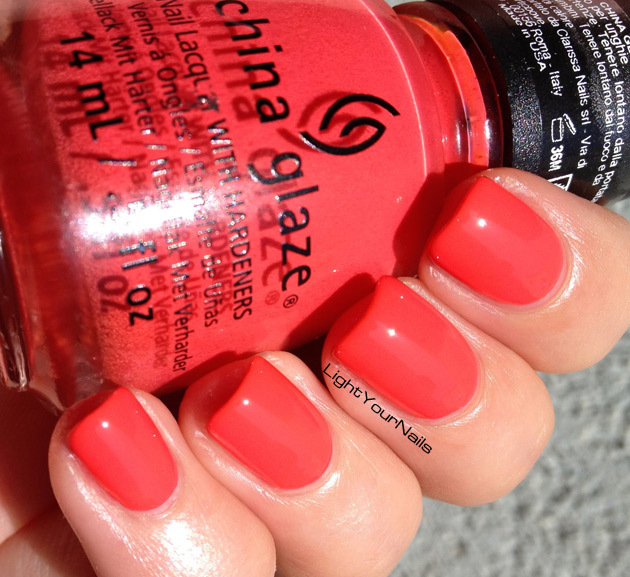 Penso che finora sia il miglior neon firmato China Glaze che io abbia usato. Inoltre a differenza di quasi tutti gli smalti neon asciuga già lucido, cosa che mi ha sorpresa. In foto vedete due passate su base bianca (Astra Neige) per evidenziare l’effetto neon. Aggiungo però che questo smalto è perfettamente coprente anche da solo in due passate, solo con un minor effetto evidenziatore! I really loved this shade and it’s probably my favourite China Glaze neon together with Flip Flop Fantasy. It’s on my toenails right now and it rocks! What do you think? 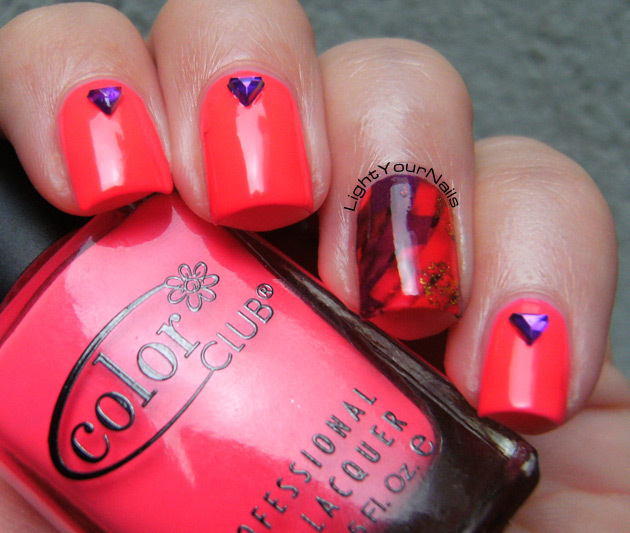 Love rocking corals and neons in summer? Adoro questo colore e probabilmente è il mio neon China Glaze preferito assieme a Flip Flop Fantasy. Al momento ce l’ho sulle unghie dei piedi ed è una bomba! Che ne pensate? Anche voi adorate smalti corallo e neon per l’estate? If you read my blog regularly you know that I love subtle stamping but I also struggle with it. Today I am gonna show you two of my attempts that went so subtle that you couldn’t even notice my nails were stamped! 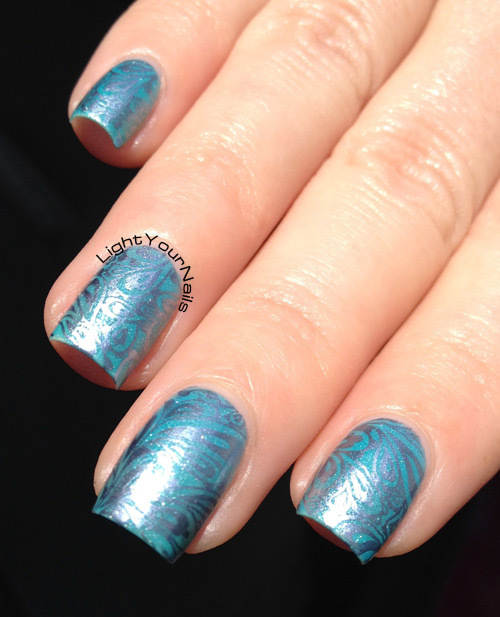 First up is a stamping done with plate BP-23 from Bornprettystore over RobyNails Magic Aquamarine. Indoors the stamping was quite visible but when I went outdoors the base was so incredibly sparkly that nothing else showed! Il primo è uno stamping fatto con la piastrina BP-23 di Bornprettystore sullo smalto RobyNails Magic Aquamarine. In casa lo stamping si vedeva abbastanza ma appena uscivo al sole la base era talmente sbrilluccicosa (sempre termine tecnico) da coprire qualsiasi altro effetto o nail art. Second attempt is a look I will keep trying until I get it right because I love the idea behind it. 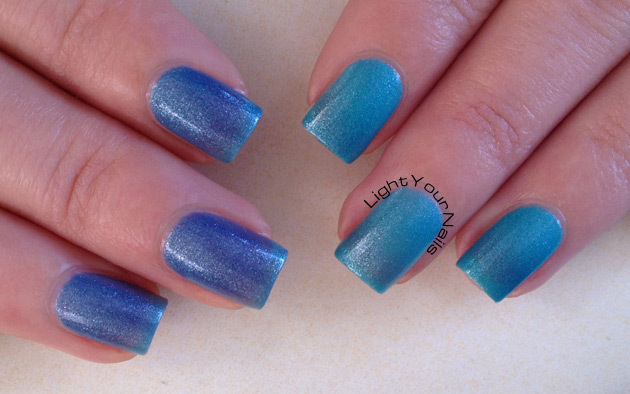 My base is BornPrettyStore Color-change Polish n. 110 which is a thermal shifting from turquoise to blue. I wanted to stamp over it with a colour that was only visible over turquoise, and disappeared when blue. Well the stamping colour was a bad pick and it was unnoticeable anytime *sighs*. Il secondo tentativo è una nail art che continuerò a provare finchè non mi uscirà bene perchè adoro l’idea di base. Lo smalto è BornPrettyStore Color-change Polish n. 110, un termico che vira da turchese a blu. Volevo stampare con un colore che si vedesse solo in fase turchese, e che sparisse nel blu. Purtroppo lo smalto con cui ho stampato non è stato una buona scelta perchè spariva in entrambi i casi. If you have any tips on how to get a neat subtle but yet visible stamping I am all ears! Se avete qualche suggerimento su come realizzare uno stamping delicato ma visibile sono tutta orecchi! 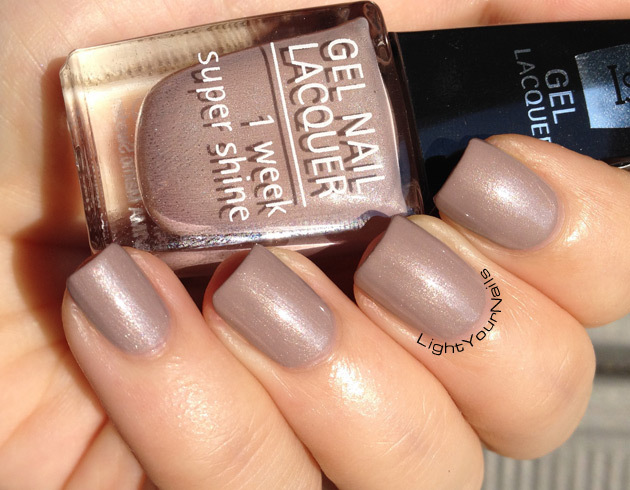 Today I am gonna show you a polish that I actually wore a while ago and never made it to the blog until now. Some months ago BornPrettyStore launched a new thermal polish collection and after some thinking I decided to purchase one. My pick was no. 110 and it’s a turquoise to denim blue thermal polish with a foil finish that dries matte. Application was easy and it’s perfectly opaque in two coats. Oggi vi mostro uno smalto che ho indossato qualche tempo fa ma che non ha mai fatto la sua apparizione sul blog fino ad ora. Mesi fa BornPrettyStore ha lanciato una collezione di smalti termici e dopo averci pensato un po’ ho deciso di ordinarne uno. La mia scelta è caduta sul n. 110, uno smalto termico con effetto foil che vira da turchese a blu e che asciuga matte. La stesura non mi ha dato problemi e con due passate è perfetto. The only thing I didn’t like about this polish is that it hardly ever stays into its transition state, thus being either turquoise or blue. What I love of thermal polish is when the two colours are on the nails together and it rarely happens here! Anyway, if you like this polish or want to check what the other available colours are you can find them at >this link<. L’unica pecca di questo smalto è che non rimane quasi mai nello stato di transizione tra i due colori, quindi sulle unghie è o blu o turchese. Invece quello che piace a me degli smalti termici è proprio quel momento in cui si hanno entrambi i colori sulle unghie, cosa che qua non capita praticamente mai. In ogni caso se siete curiose di quali altri colori esistano o se vi piace questo in particolare vi lascio il >link diretto< per trovarli su BPS. It’s Monday again and the weather is getting worse. I am so not ready for summer to leave us. Let’s stop babbling anyway. Today’s pick from Cristina and I is super famous: A England Dragon. 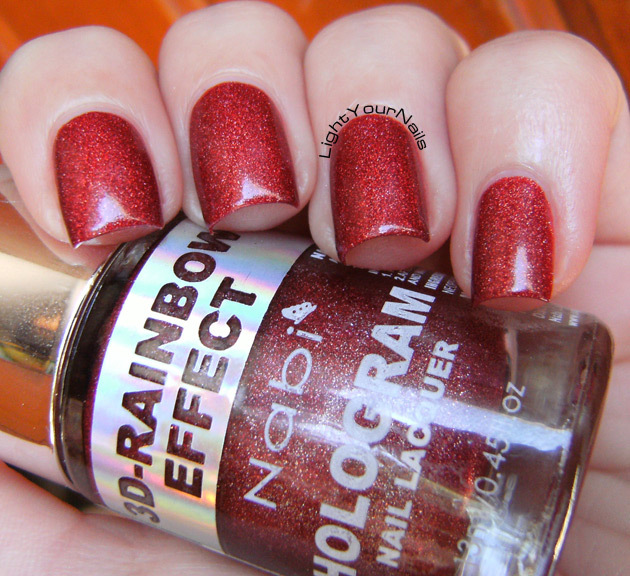 A England probably needs no intro, Adina is the woman behind this brand and her scattered holos are the most popular out there. 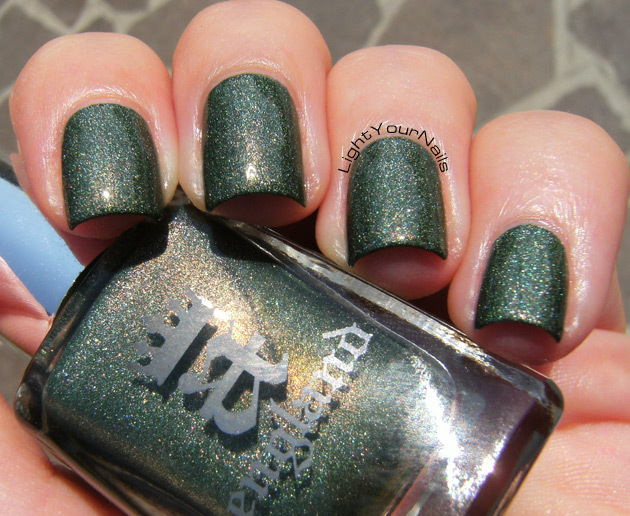 Dragon was the first shade to make its place into my collection and it’s a beautiful olive green. It’s a one coater but you see two in my photos. Application was flawless. Di nuovo lunedì e il tempo sta cambiando. Non sono pronta per la fine dell’estate. Ma bando alle ciance, lo smalto che abbiamo scelto per oggi Cristina ed io è A England Dragon. A England è un brand che non ha bisogno di presentazioni per chi bazzica il mondo degli smalti indie (indipendent). La creatrice di questi bellissimi smalti è Adina e i suoi holo di tipo scattered sono tra i più famosi sulla piazza. Dragon è stato il mio primo A England ed è un bel verde oliva coprente in una passata. In foto ne ho messe cmq due. Sorry for being of few words today but when the weather is bad I always feel quiet. Do you like A England Dragon? Have you ever tried this brand? And maybe you have a favourite, too, share it! Now let’s have a look at Cristina wearing Dragon, too! Scusate le poche parole oggi ma il brutto tempo mi deprime tantissimo. Vi piace A England Dragon? Conoscevate già questo brand? E magari avete un preferito? Adesso diamo un’occhiata alle unghie di Cristina mentre sfoggia Dragon! Today I want to quickly show you some of my favourite products from P2 Cosmetics. Some of them I got them for review and then I repurchased myself because I loved them so much. P2 Quick Dry spray is one of them. 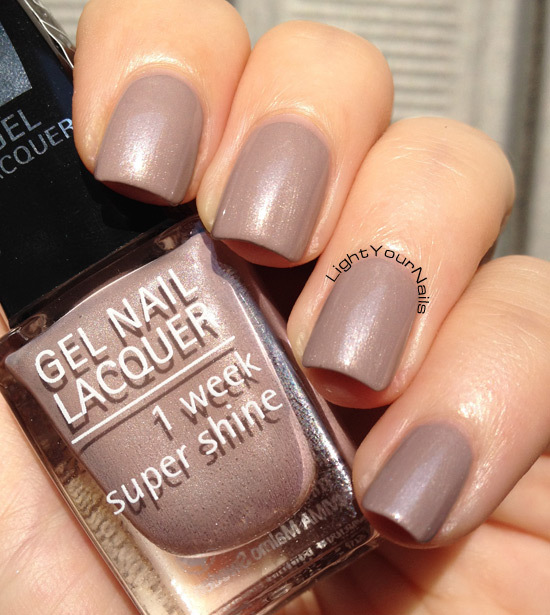 This is a spray that promises to quickly dry your polish and it actually delivers what it says. If you are thinking dry drops, this has nothing to do with them. Dry drops that are sold from a lot of brands are oily and leave your cuticles greasy. This spray feels like water instead and it dries and vanishes on your skin without you even noticing you sprayed something all over. I love it for my pedis and for holos the most. I always ended up with smudges or bed marks on my toenails until I’ve started using P2 Quick Dry spray! 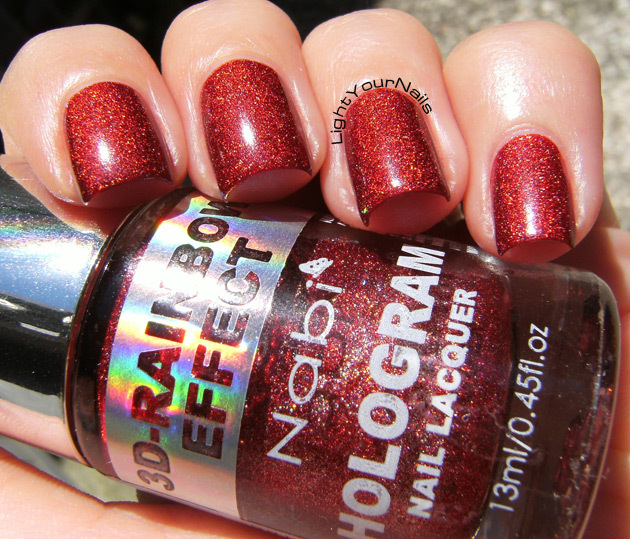 And I try not using top coats on holos so this one comes handy to let them dry quick, even though holos usually dry quick anyway. In Italy P2 Quick Dry spray sells for 2,49€ so that’s really cheap. Oggi vi parlo dei miei prodotti preferiti di P2 Cosmetics, marchio che si sta facendo strada in sempre più punti vendita OVS e Upim. Alcuni di questi prodotti mi sono stati inviati per recensirli e mi sono piaciuti talmente tanto che ho continuato a ricomprarli. P2 Quick Dry spray è uno di questi prodotti. E’ uno spray che promette di far asciugare velocemente lo smalto, e lo fa davvero! Se state pensando alle goccine asciuga-smalto siete fuori strada. Questo spray non ha niente a che spartire con loro. Le goccine asciuga-smalto sono vendute da tanti brand, sono oleose e lasciano le cuticole unte. Questo spray invece è impalpabile, sembra acqua, e una volta asciutto non ci sono residui di alcun tipo: scompare! Mi piace usarlo principalmente per le unghie dei piedi, che prima finivo sempre per rovinare infilando le scarpe. Da quando ho lui le mie pedicure sono perfette! Lo uso spesso anche con gli smalti olografici, dove non applico il top coat per non rovinare l’effetto, quindi un aiutino con l’asciugatura è ben accetto. Il prezzo del P2 Quick Dry spray è di 2,49€ quindi ottimo. Next product is a popular one: color correcting pen. I usually use a brush and nail polish remover to clean up my cuticles. But when I am away from home I always have one of these pens instead. I’ve tried a handful brands and they are honestly all the same. So why choosing the P2 one? Easy said: it’s the cheapest one out there at 2,99€ (Essence one is 3,39€ for example). Il secondo prodotto si trova di qualsiasi marca ormai: la penna correggi smalto. Io personalmente uso un pennello imbevuto nel solvente per pulire lo smalto finito sulle cuticole, ma quando sono fuori casa mi affido a queste pennette. Ne ho provate di parecchie marche e secondo me sono tutte uguali. Allora perchè compro sempre la P2? Presto detto: è la più economica in circolazione! Costa 2,99€ (contro i 3,39€ di quella Essence ad esempio). Last product is a treatment and it’s called P2 Fast Help Repair. I alternate it to my other base coats and I really like it. It says it covers your nails with an acrylic layer. I don’t know if that’s true but it gives high shine and I really like how smooth my nails are when I use it. This is priced 2,49€ here. L’ultimo prodotto di cui vi parlo oggi è P2 Fast Help Repair, una base che dice di coprire le unghie con un film protettivo acrilico. Ora io non lo so se questo è vero, però la sto alternando alle mie altre basi e mi piace! Lascia l’unghia molto liscia e lucida. Il prezzo è di 2,49€. And that was it! My current 3 favourite products from P2 Cosmetics! Have you ever tried any of their products? Do you like them? E questi erano i miei 3 prodotti top di P2 Cosmetics? Li conoscevate? Ne avete provato qualcuno? Vi ricordo la pagina ufficiale di P2 Cosmetics su Facebook!